Posted on June 27, 2013 Posted in Common Core, Elementary, High School, Middle School, Online Resources	. While somewhat controversial, the Common Core State Standards have been adopted by a vast majority of the states in the country and receive generally high marks from teachers. Their focus on the “big ideas”, critical thinking skills, and making cross-subject connections will help prepare our students for living in the 21st century, but, the standards are very intimidating! These 10 Common Core Standards resources will help you make sense of and integrate the new standards into your lessons. This 40-plus page document is designed to support the continuous improvement of implementing the new state standards. It will help you stay one step ahead of the suggestions that will come down from state leadership. Pearson’s compilation of resources on how to fund the initiative, prepare for instructional shifts, and to help students meet (and exceed!) the more rigorous expectations. 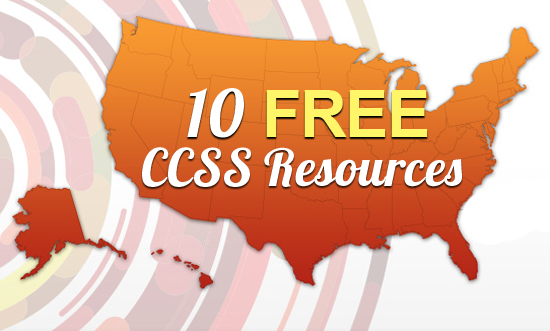 Thousands of high-quality Common Core resources created by teachers, for teachers! A list of Khan Academy’s videos and how they relate to the Common Core. A free downloadable guide for aligning the Common Core State Standards with the framework for 21st century skills. You can also purchase hard copies of the guide right on this website. This framework for 21st century skills is meant to be used with the P21 Common Core Toolkit and serves as a description of student outcomes and support systems. Dozens of instructional videos on how to use the Common Core State Standards. A guide that accompanies the instructional videos on the Hunt Institute’s YouTube channel. McGraw Hill’s list of webcasts, white papers, presentations, and informational websites and blogs for the Common Core. Keep the most up-to-date Common Core State Standards at your fingertips with this free app! You can easily sort by subject or grade. So, there you have it! I hope you found something useful. Please don’t forget to “like” my Facebook page in the top-right of your screen or sign up to receive my FREE newsletter! What Common Core resources have you found on the internet? Feel free to share them with us in the comment section below! I have a site http://www.printworksheetsfree.com that has a section for CCC but I haven’t been able to find to many materials. This is great. thanks for sharing it. I teach 3rd grade and these should be an interesting couple of years. May I put a link to your article on my site? Thanks for sharing, Steve! Yes, you may link to this article on your site.